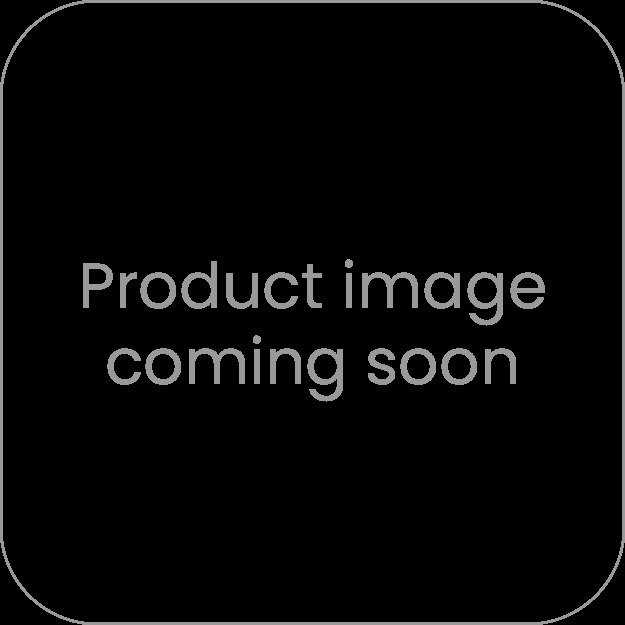 Corporate caps are one of the oldest methods of promotion and have been utilised by companies all over the world. Our range of promotional bucket hats are also popular and we offer a 100% free design service which ensures you get the right cap style first time!. A simple baseball style cap with your logo embroidery is proven to increase your brand awareness with individuals everywhere, not only will the wearer remember your company but they will be displaying your logo to the world every time they pop on their hat and head outside! 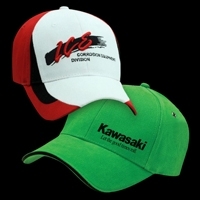 Enquire now for a 100% FREE quote and a virtual sample of your branded caps. A baseball cap is still a popular item in everyones apparel arsenal. Dynamic Gift is are able to supply custom hats at highly competitive wholesale prices, work well for companies that are looking to increase their visibility among both consumers and other businesses. The most basic requirement that any giveaway needs to fulfill is that of being genuinely useful and because so many people wear headgear all year round, it is an excellent choice for firms that want to ensure their corporate gifts are used on a daily basis rather than left languishing at the back of a cupboard. Because recipients of the promotional caps will wear them to a variety of places, companies that give them away can maximise their advertising budget by using them instead of other, more costly marketing tools. Although there are many other, more creative promotional products, a cap is one of the most commonly used items out there. In addition, it is also very visible. Unlike a pen or a notepad that only the people who are using it will see, a cap can be seen by anyone walking down the street. When those bystanders need a product or service the company offers, businesses who give away Promotional caps to their market can be sure they'll be top of mind for those consumers. Whilst hats have the advantage of being genuinely useful, you still need to make sure that they are attractive enough for recipients to want to wear them on regular basis if you are to obtain a decent level of exposure for your investment. A professional design, incorporating your company name and logo in a colour scheme that is both unique and appealing, will go a long way to ensuring that this is the case. We provide all of our customers with high quality pre-production artwork so they can approve final designs before the manufacturing process starts, to avoid costly mistakes. The style of hat and the design on the fabric should match the image of the company. Companies should expect to be able to get the style and design they want on their caps and receive them in a timely manner. The best manufacturers offer dedicated representatives to help clients design and order their Promotional caps. Getting the order right the first time is essential to making the most of the company's marketing budget. A mistake in the colouring or the logo design could be disastrous when it comes to attracting new customers. There can be so much involved in designing and getting your promotion right, do you prefer trucker caps over standard style? velcro or plastic adjuster? there is more to it than you think! But we are on standby to assist with making the right decision. There are many different ways to promote your company and the products and services that it sells but few will be as cost effective as well designed corporate giveaways. A single item of branded clothing worn on a regular basis could expose your company name and logo to thousands of individuals every day so it is easy to see how promotional headwear could provide your business with an enormous amount of exposure when used as part of a nationwide campaign. The type of hat a company chooses depends mostly on the target customer. 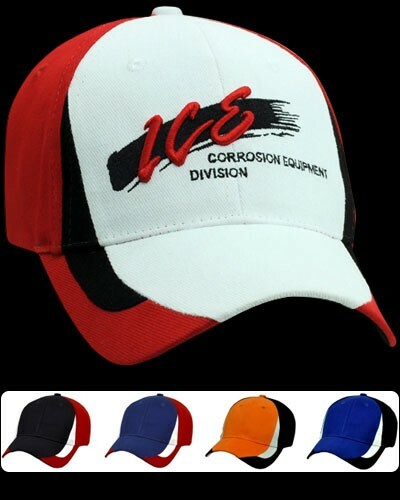 For many companies, a cap with a visor is ideal. For others, Embroidered hats are the ideal solution. These kinds of warm hats are great for the winter months and throughout the year in cooler climates. They're also more functional, so they're more likely to be seen on someone's head than sitting in a closet until the owner decides to wear it. 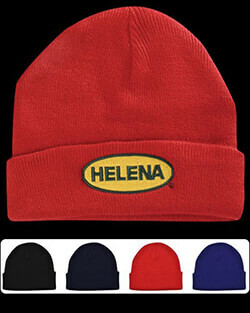 An embroidered hat can be practically any colour, so it's easy to make these hats match the company logo. The exact cost involved will depend on the styles, designs, printing requirements and the quantity required. We can provide detailed quotations to make it easy for you to work out a budget for your campaign and will be happy to work alongside your marketing team to ensure that all your needs are met for a reasonable price. Our team will always provide a firm, written quote with shipping and embroidery cost included so you know that you're not getting any surprises later down the track. Please call us if you would like a over the phone estimate or any information regarding our custom caps. If you find, like many other businesses, that branded caps provide a decent level of exposure for the cost involved, it may be worth expanding your marketing efforts in the future and incorporating other products from our wide range of gifts and promotional items. Once you start to raise your public profile, it is a good idea to capitalise on your early successes with quality giveaways that will ensure your company name is in the public eye for many years to come. In warmer climates and for summer use, a baseball hats are the perfect promotional item to give to target customers. These hats will help protect customer's delicate facial skin from the sun so they are sure to be worn regularly on the hottest days of the year. Handing these out on warm days ensures people who didn't leave their home with a hat for their head will immediately put on the cap and advertise for the company. They'll appreciate the gift and gladly refer other people to the company for their own needs. Our range of caps custom embroidered are also available for companies that want something a little different from the norm. 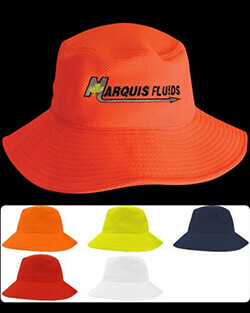 Wholesale headwear allows companies to get a discount price on their promotional items so they can give them away freely. By developing a marketing strategy that includes giving clients and potential customers promotional hats, companies can expand their market reach quickly. More people will learn about the company every day without the marketing team having to do any additional work in the streets. Every company with a strong product and solid customer focus can benefit from promotional items their customers can use on a daily basis.